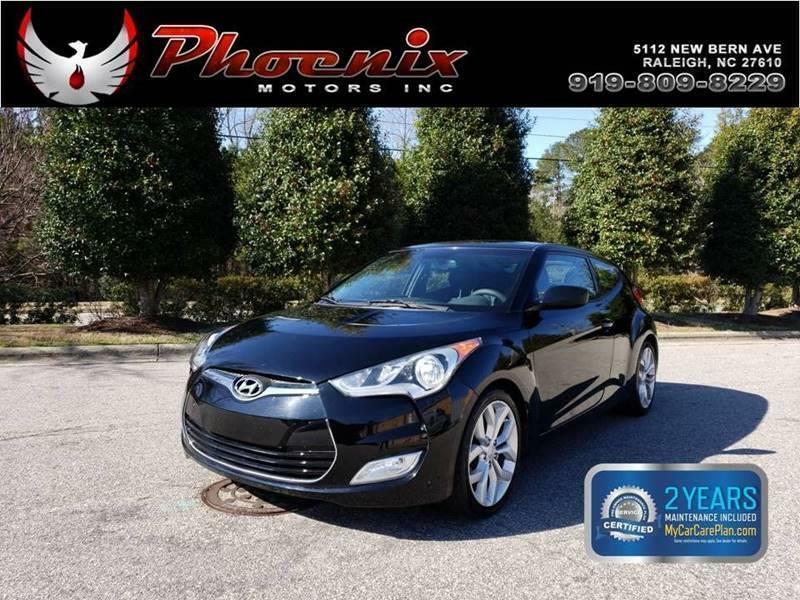 I would like to learn more about this 2012 Hyundai Veloster Base 3dr Coupe DCT. Please contact me as soon as possible! The Hyundai Veloster is a unique three-door coupe, and out of the box its a contender as a sporty economy car. Much of the Hyundai Veloster was designed and developed in the U.S., most notably the rear suspension that gives Veloster an excellent all-around ride and makes it totally obedient. There are other good things to make the driving enjoyable. Standard equipment includes air conditioning with cabin filter, 196-watt AM/FM/XM/CD/MP3 audio system with iPod and USB jacks, Bluetooth, 7-inch touch screen, power everything, remote keyless entry, 60/40 rear seat, and 17-inch alloy wheels. The Style package includes 18-inch alloy wheels, chrome grille trim, foglights, panoramic sunroof, premium 8-speaker audio system, leatherette seats, leather-wrapped steering wheel and shift knob, and alloy pedals. Safety equipment on all models includes six airbags (frontal, front side impact, curtains), stability control with traction control, ABS, tire pressure monitor. ⋅ Video Monitor Size - 7 In.